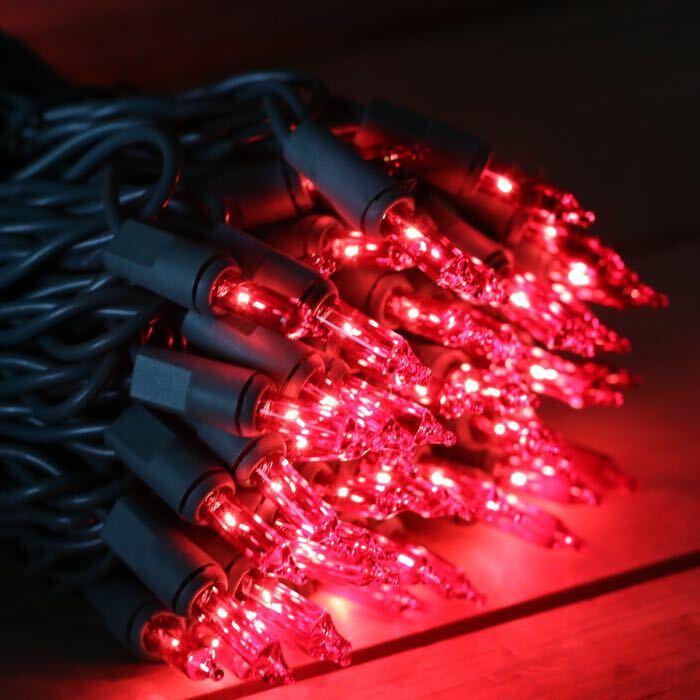 Parties and special events will be merry and bright with these red Christmas lights! They are a must-have for our Holiday season. Mini lights are a versatile choice for decorating around your home in both indoor and outdoor applications. The 2.5 inch spacing works well when you are lighting up your outdoor yard sculptures. Use sculpture clips to make that job quick and easy. 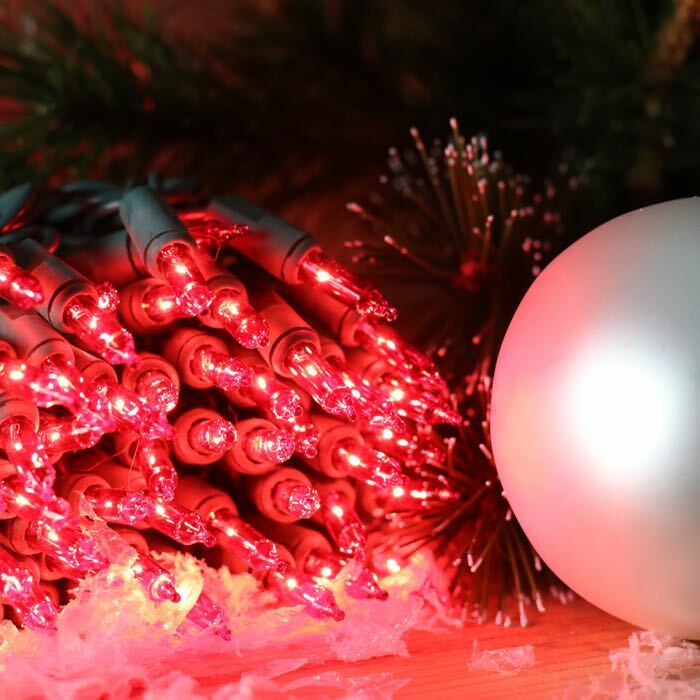 With 50 bulbs per string, and just over 10 feet of length, we think you will find these Christmas lights extremely versatile for bringing fresh life to some of your tired Christmas decorations. 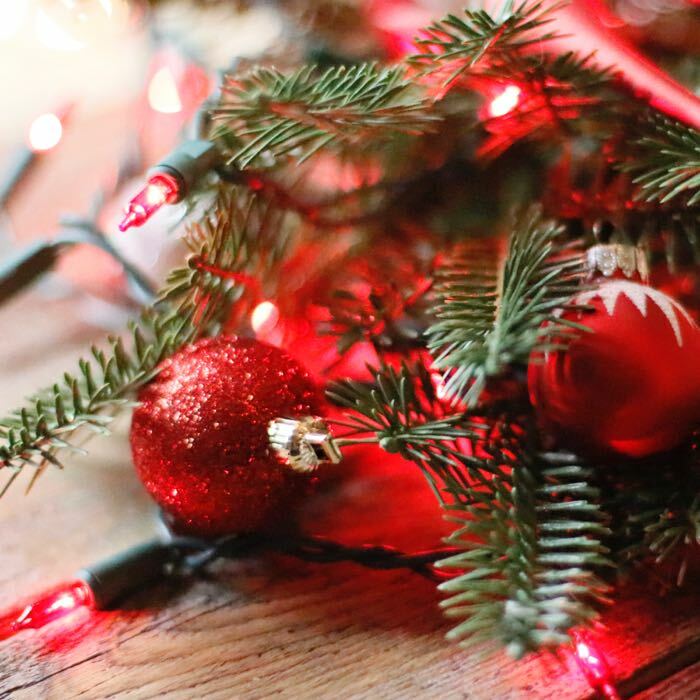 Consider using these red mini string lights along your mantle. Create interest with natural or artificial greenery, these lights, Christmas ornaments and pinecones. With the classic Christmas color combination of red and green, you can enjoy a festive air for your house throughout the season. Fitted with a standard male/female plug set, these Christmas lights plug into any standard household outlet. You can run up to 10 sets in a series. Q: Can I use these lights outdoors? A: These lights are rated for normal seasonal use both indoors and out.